Find the joys that you can. 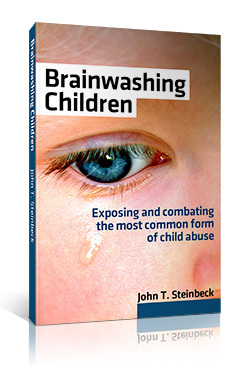 Because this takes years in most cases to recover from a severe alienated state from your son or daughter or children; you can’t be fixated on the alienation and let the poison that’s being dripped over your kid or kids and yourself infect and drown out and poison all the other areas of your life. There are six specific things I really want you to concentrate on because you can’t let they alienator win, so to speak, by allowing this to make you depressed or to crowd out all the other good things in your life. Here are the six: friends, family, job, hobbies, religion, and passions, and obviously, not in that order. Go for each one of those and write out a list of what you have that’s joyous in your life, what you have that’s amazing, that makes you really happy, and you’re going to have lots of things in all of these. If you feel like you’re short, especially on passions, start something new. Be creative. Say ‘you know what, I’m going to use this time of alienation to do something I normally would never do.’ It’s taking a negative thing and creating something positive out of that. That’s going to be another video I’ll be doing. Start a new hobby, start something new. Do something that you could look back one day and go, ‘you know what, without the alienation I would have never learned Italian, with the alienation I would have never reconnected with Joey in New York.’ Find one thing or many that you can start now so that there’s some seeds that you’ve planted even though you’ve planted these seeds in some rotten, disgusting, ugly soil, can’t think of a better word. What you’re essentially doing here is compartmentalizing in a healthy respect. We all have pains in our life, but instead of taking those pain compartments and blowing them up and making them bigger, especially making them bigger than they actually are, it’s taking those pain compartments and shrinking them down. If you’ve heard of neurolinguistic programming (NLP), that’s exactly what it talks about, it’s almost like you have these balloons up here and shrinking in your head that represent the different areas of your life and taking the painful balloons, in this case the alienation of your son Johnny, and shrinking it down and blowing those other ones bigger. You blow up the family one in your head to where you’re actually looking at a balloon and go, “Hey, I’ve got all these good, positive balloons in my head,” and taking the alienation one, instead of making it bigger and crowding everything out, you’re actually making it smaller and shrinking it down to size, it really works. It’s what helped me immensely during those years. I don’t know how I would’ve stayed sane otherwise because sometimes I just thought about him all the time. Try to do that, I know it’s easier said than done, especially early on, but really try that. I hope these six can help you! It’s as though the other half of the child is discarded, leaving only one parent (when in the context of mentioning the other parent, of course. On its own, “my son,” for example, is appropriate). And in an alienator’s mind, that’s exactly the case. They are the “good” parent, and the other is the “bad” or unworthy parent. They would never admit to co-parenting with their ex. You will never, ever hear an alienator– on any level– use the term “our son/daughter/kid.” As to utter those words implies an importance and biological connection to the ex. As the non-alienating parent, you should always use the correct term of “OUR son,” “OUR daughter,” or “OUR son” when speaking in reference to the ex.